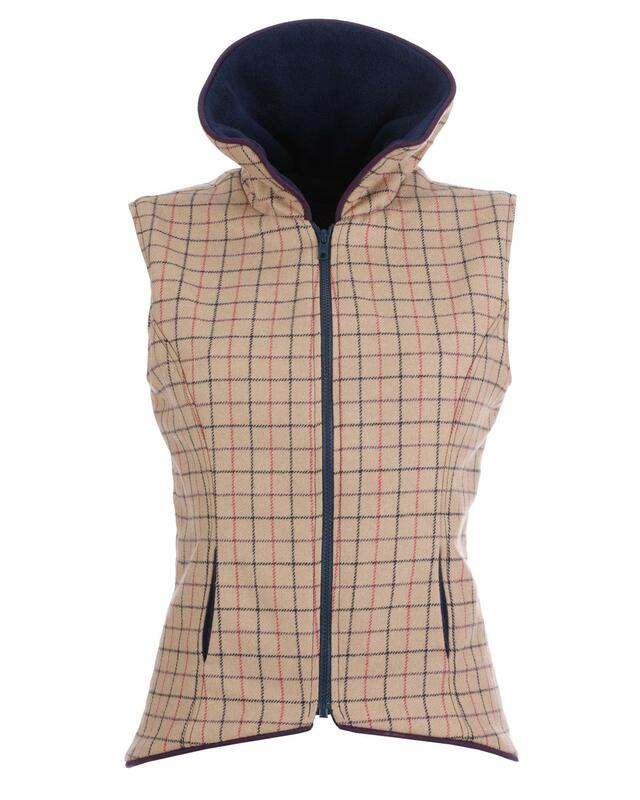 A sporty fitted ladies gilet in a soft checked tweed, with a collar. Lined with cosy anti- pile fleece and stylish but practical contrast piping around the edges. 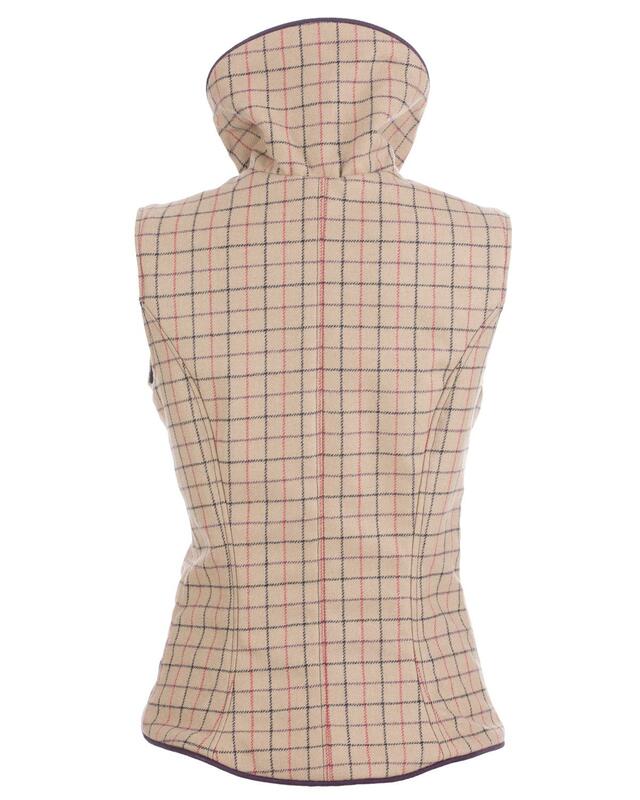 Great if you like the fit without a hood. THIS POPULAR LAYERING ITEM WILL JUST BE ON AT A SPECIAL PRICE FOR 1 WEEK.